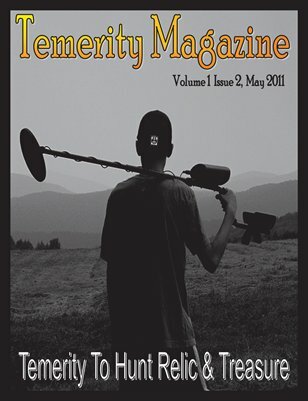 Temerity Magazine is back with its second issue lifting up great relic and treasure hunters. In this issue: Metorite Hunters, Kensington Runestone, Metal Detectorists, Rock Hounds, Beginners guide and equipment reviews. What is the best Pin Pointer for the Money? What does the old letter say found at the base of an old oak tree? What does the inscription of the Kensington Runestone mean? All this and more! Get Grizzly, Read, Share and Join us with your story!